Canada's top court has quashed a mandatory fine slapped on convicted criminals, overturning a surcharge that critics blamed for keeping impoverished people trapped in the criminal justice system. 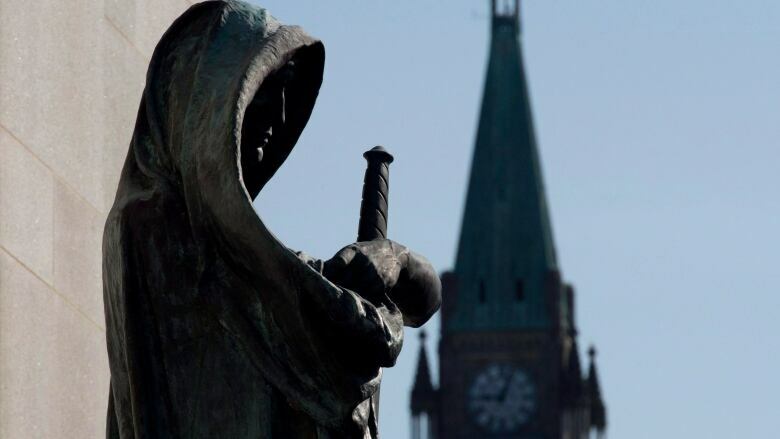 In a 7-2 ruling, the Supreme Court justices said making the fine mandatory does not allow sentencing judges to consider mitigating factors, ignores the goal of rehabilitation and undermines Parliament's intention to address the serious problem of Indigenous overrepresentation in prison. "The surcharge constitutes cruel and unusual punishment and therefore violates Section 12 of the (Charter of Rights), because its impact and effects create circumstances that are grossly disproportionate to what would otherwise be a fit sentence, outrage the standards of decency, and are both abhorrent and intolerable," reads the judgment. The federal victim surcharge was introduced in 1989 as a way to make offenders more accountable and to offset some of the costs of funding victims' programs and services. Before 2013, judges could waive the fine if the offender was poor, but the Conservative government of the day made it mandatory and doubled the amount judges were required to impose. The Liberal government moved to repeal the mandatory surcharges under Bill C-75, which has cleared the House of Commons and is now before the Senate. Under Section 737 of the Criminal Code, a convicted offender must pay a victim surcharge that is 30 per cent of any fine ordered by the court. If no fine is imposed, the surcharge is $100 for a lesser offence and $200 for a more serious offence. The court may also charge a higher fee if it's considered appropriate and the offender has the financial means to pay the higher amount. But the majority ruling struck down that entire section of the Criminal Code, saying it should be "declared to be of no force and effect immediately." "The government could also proceed administratively, while Parliament may act to bring a modified and Charter-compliant version of the surcharge back into the Criminal Code," the judgment reads. A spokesperson for Justice Minister Jody Wilson-Raybould said she is "studying the decision to assess the appropriate next steps." Public Safety Minister Ralph Goodale said the decision is the latest in a series of court rulings that have found laws passed by the previous Conservative government to be unconstitutional. He said the Liberals already have recognized the problem with the mandatory surcharge and addressed it in C-75. "We are in the process of re-establishing what the law used to be, now obviously vindicated and supported by a judgment of the Supreme Court of Canada," he said. Heidi Illingworth, the federal ombudsman for victims of crime, said the court's decision will leave "critical gaps" in funding for provincial and territorial victims services. "Victims' services need to be well funded with predictable resource streams," she said in a statement to CBC News. "I am hopeful that Bill C-75 will address offender accountability while offering judicial discretion to avoid undue hardship to offenders." Each province and territory is responsible for collecting the surcharge. The latest available victim surcharge data is from the 2016 Federal Victim Surcharge report, which showed the total victim surcharges collected in nine jurisdictions for the fiscal year 2014-2015 was more than $10 million. Josh Paterson, executive director of the B.C. Civil Liberties Association, an intervener in the case, called it a "huge win for fairness in the criminal justice system." "Forcing offenders to pay this surcharge even when they had no ability to pay meant that many people were going to jail simply because they are poor," he said in a statement. "The court found that this is cruel and unusual punishment that outrages the standards of decency. Even people with a less serious conviction could be dogged for years by collection efforts and the threat of imprisonment due to the fact they could not pay the surcharge."